Anchor Bay and McFarlane Toys have done it again! With their third team up for the hit series The Walking Dead the two companies have came together to give fans an extremely detailed statue that they can proudly display on their shelves. 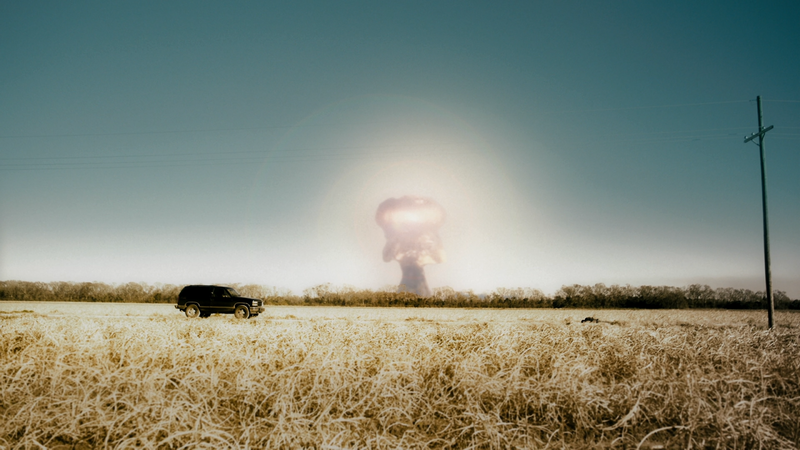 In the not-so-distant future America is the victim to a nuclear holocaust when a number of bombs are dropped across the United States. 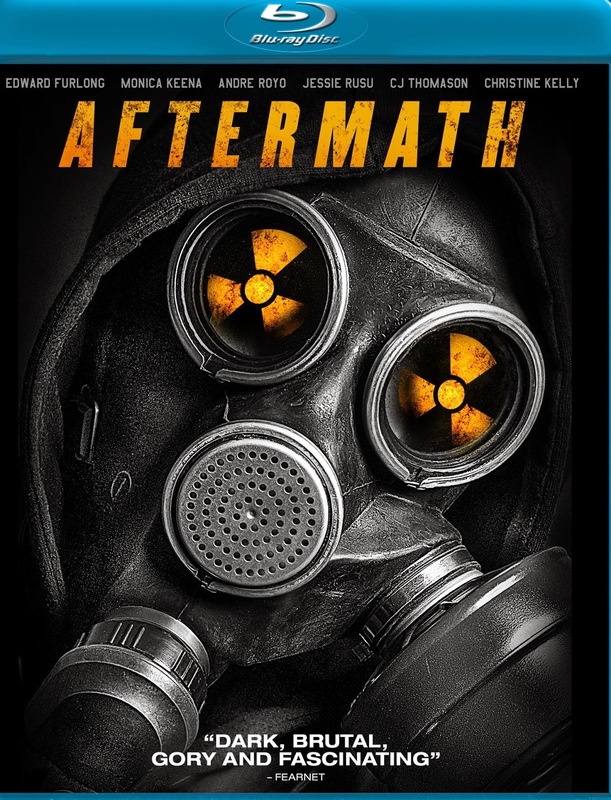 Personalities clash when nine Survivors must take shelter in an old grungy basement while they wait for the radiation levels to drop. Thankfully for the group one of the survivors (Russ; CJ Thomason) happens to have a medical degree and an extremely strong will to survive. With his know how he is able to patch up the injured and together they begin to fortify the basement. Unfortunately for the group they have all sustained a substantial amount of radiation poisoning which rears it's ugly head through bruising, open sores, and fatigue. With depleting food supplies and lack of medicine things are looking grim for the group, but they're about to get much, much worse. 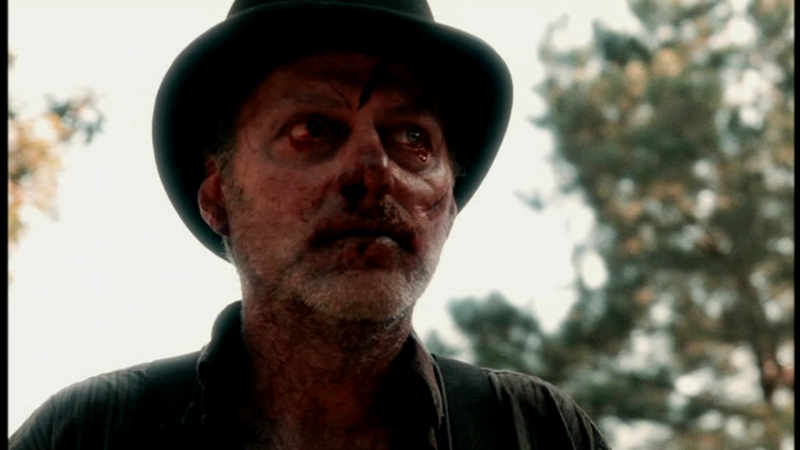 The undead take over the wild west in this 2013 mish-mash of genres. 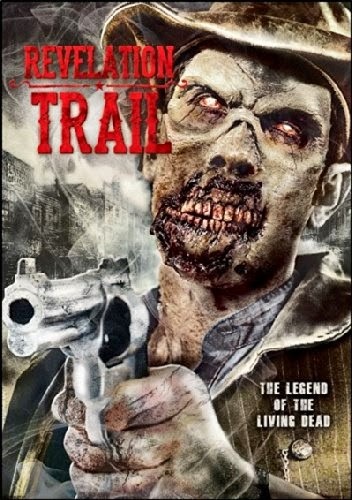 As a plague of zombies sweeps through the land a poor preacher's family pays the ultimate price, to die only to go on living as one of the walking dead. As the small town is taken over by the marauding ghouls the preacher (Daniel Van Thomas) teams up with a local lawman (Daniel Britt,) and together the two narrowly escape town and begin to look for refuge. Unfortunately for the duo it seems a safe place is getting harder and harder to find as the disease quickly takes hold of the land. You love Italian horror? Than you're likely well versed in the works of Mattei. That last name is synonymous with Spaghetti-sleaze. No matter the director's pseudonym nor the genre of film, if you're watching a movie with Bruno at the helm you know exactly what you're in for. 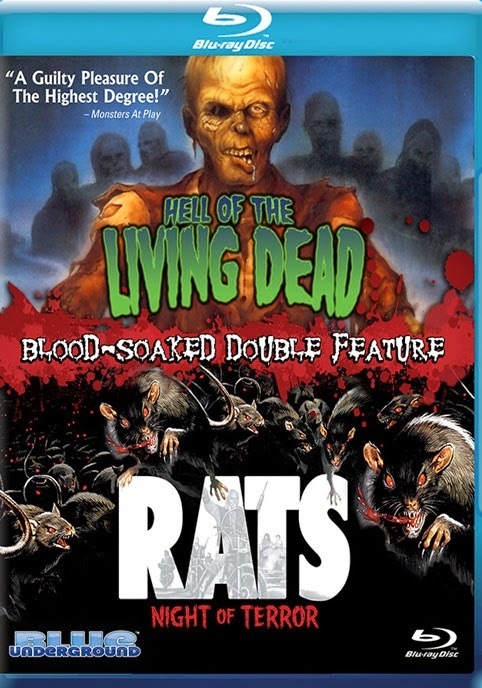 Hell of the Living Dead and Rats: Night of Terror are two fine examples of the director's work, a perfect Italian exploitation double feature. Even better, the fact that both films are presented in glorious high definition by such a prestigious company like Blue Underground. 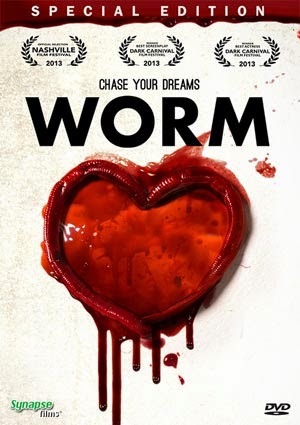 In what's certainly one of the oddest releases of the year (in the best possibly way), Synapse Films have given film fans Worm! Taking place in a very bleak future, people have lost the ability to dream. A company has created synthetic worms that can give it's user the vivid dreams they long for simply by dropping the worm into their ear canal. Sounds completely safe, right? 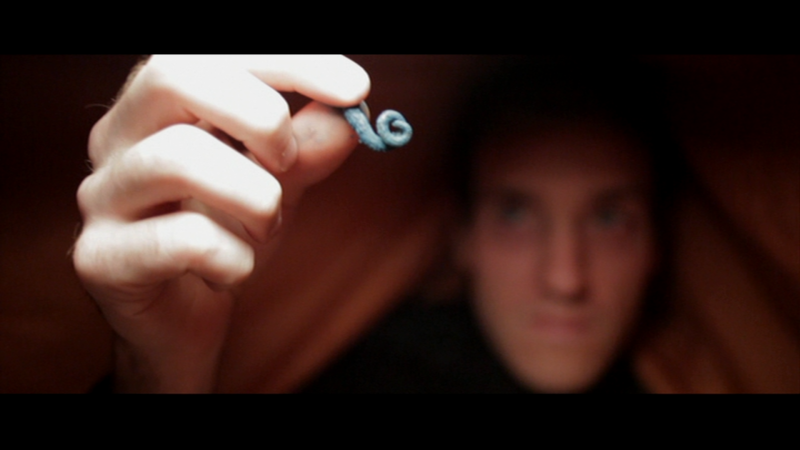 The worms, referred to as "Fantasites," are a hit and people quickly begin fiending over them like rabid dogs. But what are the dangers of this drug? No real studies have been carried out, could Fantasites be completely safe? Janek (Gerhard Liebmann) is a lonely alcoholic in the best place to be a lonely alcoholic, the Australian Alps AKA the middle of nowhere. Along with three other researchers, Janek is studying the effects global warming is having on the local glaciers. The group has various stations set up around the area to transmit data, when station three becomes unresponsive it's up to Janek to fix the issue. At the broken down station Janek finds more than an unresponsive system, the nearby glacier is covered in a thick blood red ooze. Continuing with my coverage of all things Texas Chain saw Massacre I will be doing a review on what's easily the best Leatherface figure in the 7 inch scale. Neca's Cult Classics line has been absent from shelves for years now which is a real shame. By the fifth series (made up of Ash, Leatherface, Jigsaw, and Hannibal) the company had really hit their stride and were delivering great sculpts and highly requested characters. This was the first time this particular version of Leatherface had been updated since McFarlane's initial Movie Maniacs release. What we were given was a more accurate and better articulated figure with a superior sculpt. 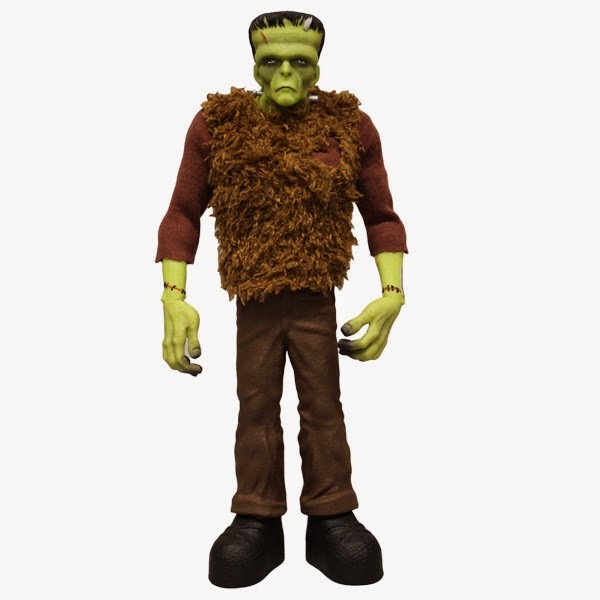 Mezco has revealed their NYCC exclusive, Universal Monsters fans rejoice! I've been a pretty big fan of their stylized Universal Monsters line, while we're patiently waiting for their The Mummy figure to hit stores Mezco plans on making our wait a little easier with a new exclusive! I'm sure fans are anxious to get the whole Titan Video masquerade wiped from their memory. Cult Epics is planning on making that notion a real possibility. This October fans will be able to retire the ol' Barrel Entertainment DVD and pick up a brand new limited edition set of the infamous film. You read that right, this October you'll be able to curl up next to the one you love and watch Nekromantik in high definition. That's romance right there. Over the last few decades the horror genre has been flush with vampires, zombies, and crazed killers. But what of the Werewolf? When will this cursed beast finally get it's due? Over the last twenty or so years I could probably count the number of good werewolf flicks on one hand, and that's a really pity as creature has such strong mythos. 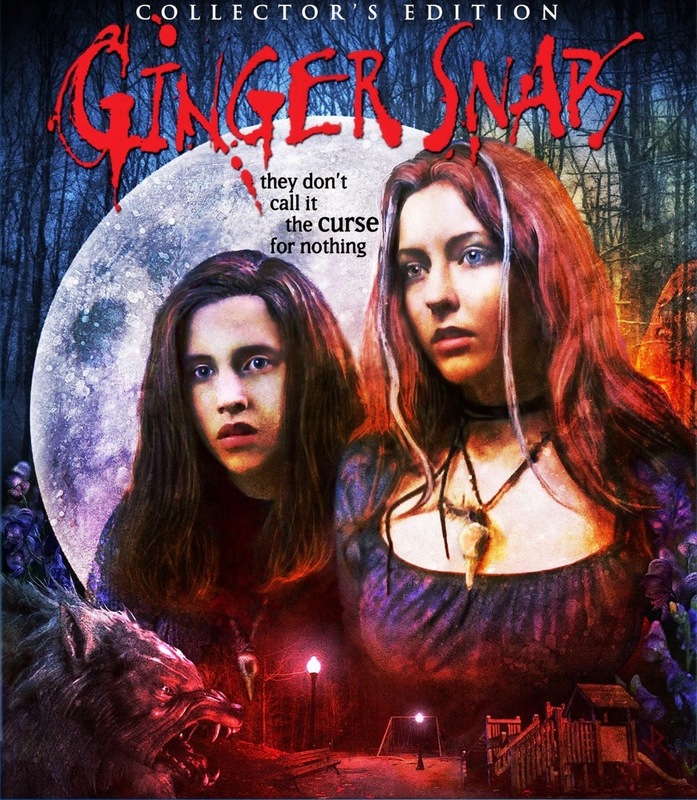 Ginger Snaps takes this legend and uses it as an allegory for puberty. Think about werewolves for a moment; Mood swings, weird cravings, hair in strange places. If you're not having flashbacks of middle school seek help. The film takes an age old monster and adds a very original twist breathing a bit of new life into the werewolf subgenre. The first few moments of Proxy will immediately turn off a number of viewers. The savage brutality inflicted towards a pregnant woman (Esther; Alexia Rasmussen) is enough to make even the most seasoned genre fan a bit queasy. The beating leaves Esther bloody, broken, and without child and soon she begins attending a support group to help cope with the loss. At one of the meetings Esther meets Melanie (Alexa Havins) and the two bond over their tragedies. Let's not forget that his is a horror film, not everything is quite as it seems. While it's easy to get behind the characters you'll soon find out they both have very dark motives, Proxy is a film devoid of wholesome characters. A few days ago I reviewed Hallmark's Frankenstein's Monster and This is Halloween ornaments, today I'm back to cover another awesome pair of ornaments, this time featuring creatures from 1975's classic Jaws and 2014's Godzilla. The BUZZ is back! 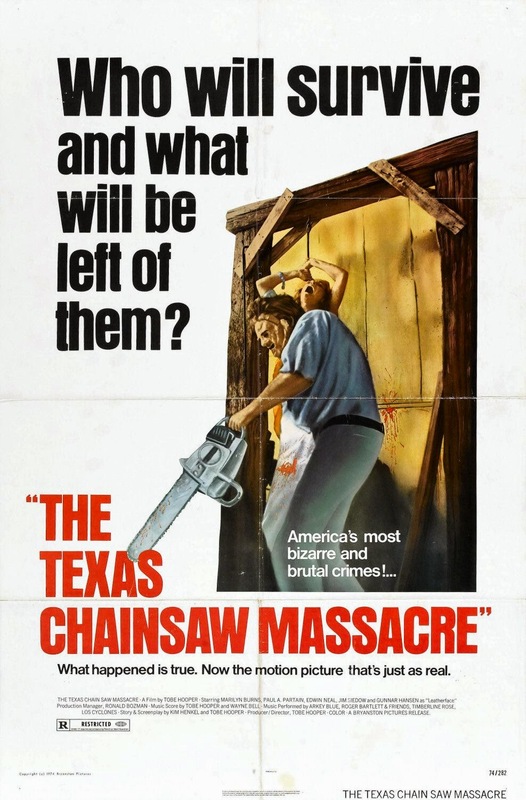 Dark Sky Films gives The Texas Chain Saw Massacre the LE treatment with the "Black Maria" limited edition set! I know a lot of 'Chain Saw' fanatics (myself included) were extremely curious as to what the Black Maria Limited Edition set would would include, so I was pretty ecstatic to receive an email from the (aforementioned) company about the release. Below you'll find a picture of the set along with information on the contents and the other TCM releases that will be available in the coming months! Hallmark Ornaments are typically synonymous with Disney, Santa, and Star Wars, not Halloween, monsters, and madmen. While the company has dabbled in a few genre items in the past this year marks their first foray into what I would consider our territory. This week I will be reviewing four ornaments that I would consider necessities for the genre collector. We're kickin' things off with Frankenstein's Monster and This is Halloween. There are so many great companies out there doing some tremendous work with our favorite film scores and I figure it's only a matter of time before most of the major films are covered. Until then here's my wishlist. Make it happen! I know what you're thinking and you're right, this film doesn't have too much of a score. It's mostly a lot of guttural noises, animal calls, and strange sounds. It still makes me feel a bit uneasy after all of these years. There's also a few catchy country songs thrown in like Fool For a Blonde by Roy Bartlett. The vinyl reissue would need all of these tracks along with a few bits of dialogue thrown in for good measure. As for the record? 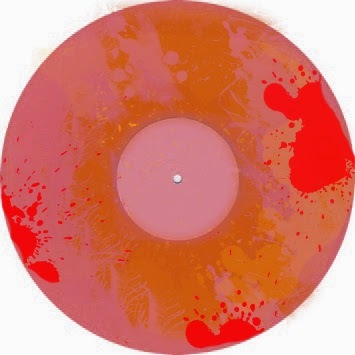 180g "blood sample" design. 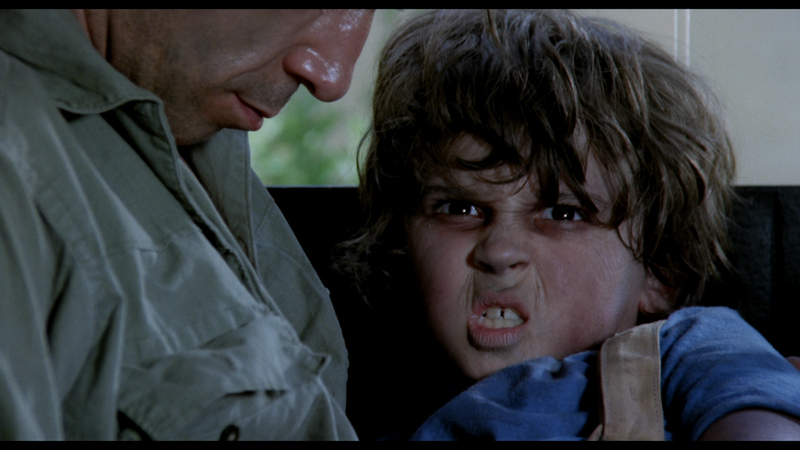 Lucio Fulci's collaborations with Fabio Frizzi produced such memorable scores. With 1980's City of the Living Dead Fulci pulled out all of the stops helming (in my mind) his masterpiece. There's a thick sense of dread throughout the film, something that's accentuated with Frizzi's haunting score. I've covered numerous vinyl reissues this year and I can say with a clear conscience that this is the best record I've purchased to date. When Death Waltz Recording Company finally announced a release date for this extremely limited (only 350 units!) gatefold LE I knew I had to have it. After months of anticipation the day had arrived, per usual your faithful reviewer forgot to set an alarm and almost missed out. While the US outlet sold out, Death Waltz had a few copies left. I had to pay a little extra as this was being imported, but at that point I didn't care. I had secured my copy moments before the website completely sold out.